A pellet stove can provide a cost effective, efficient way to heat a mobile, modular, or manufactured home. Certain requirements must be met before installation, and a stove which is designed for mobile home use must be chosen. There are many different ways to provide heat to a mobile home. An alternative to electric, natural gas or propane heat is a pellet stove. In regions where wood pellets are inexpensive and easy to come by, using a pellet stove can lead to significant savings in heating costs over the winter months. Pellet stoves are safe to use in standard homes, manufactured or modular homes and mobile homes which are permanently situated. They should not be used in motor homes or RVs. Pellet stoves are rated both by BTUs (British Thermal Units) and by efficiency. A stove with an output of 35,000 BTUs and an efficiency rating of 78 percent heat up to 1,500 square feet. A stove with an output of 50,000 BTUs and an efficiency rating of 86 percent will heat up to 2,200 square feet. An EPA Certified stove with a catalytic combustor will produce more heat with less effort and burn gases off cleanly. For mobile home installation, choose a pellet stove model that is approved for mobile or manufactured home use. You should check local building codes before installation. Depending on the style and brand of the pellet stove, clearance requirements will vary. 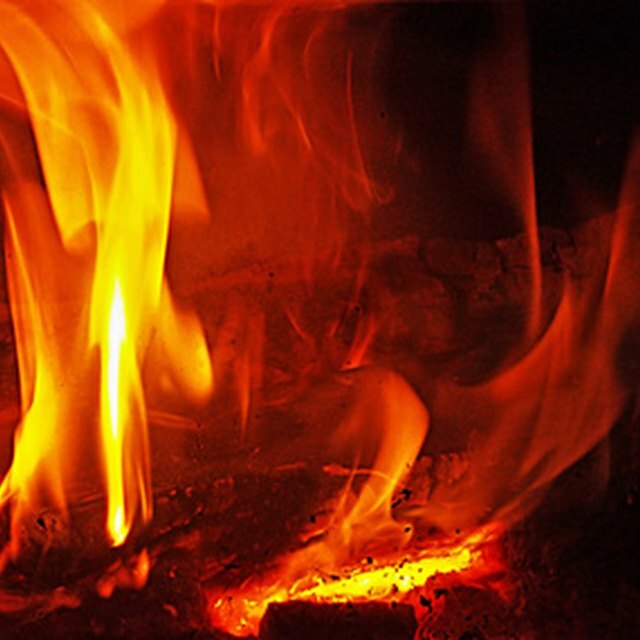 Most pellet stoves require at least an inch of clearance on all sides, as well as a fireproof hearth or floor pad. You will need to install a 2-inch aluminum intake pipe and a fireproof insulation-wrapped vent pipe. Both pipes must go through the wall or ceiling to the exterior of the home. Depending on the construction of your home, you may need to reinforce the flooring or purchase heat-resistant insulation for around the vent pipe. In mobile homes with a fireplace, the pellet stove may be installed in the hearth and vented through the chimney using an alternate venting kit installation. Some homeowners insurance companies have specific exclusions for homes with wood-burning stoves, so check with your insurance carrier before installation. For homeowners with moderate to expert level DIY experience, installing a wood pellet stove can be accomplished in a few hours. For homeowners who are unsure about their skill level or the structural capability of their home, it's safest to have a professional install the stove and check for issues. The pellet stove should be located in an area either most central to the home, or in the room most used by occupants. Stoves with a blower can be situated to direct airflow in the best direction for even heating. Once the intake pipe and vent pipe are placed, the stove can be hooked up and positioned in the fireplace hearth or on the floor pad. High-heat silicone caulk can be used to seal all joints and connections in the exhaust and venting system. The stove hopper can then be filled with pellets and the stove can be tested. If all requirements are met and the pellet stove is correctly installed, your mobile home can be heated at a fraction of the cost required for natural gas or electric heating methods. Pellets are ecologically friendly and inexpensive if there is a local source available. Over time, a pellet stove can pay back any costs incurred for purchase and installation.